HAPPY FATHER’S DAY! There’s nothing random about FATHERHOOD! 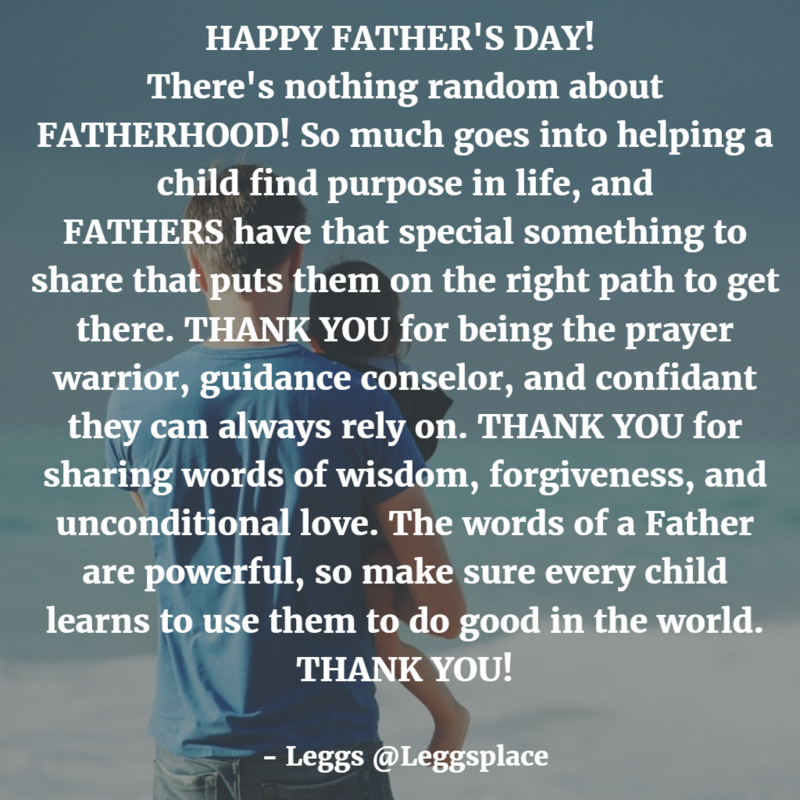 So much goes into helping a child find purpose in life, and FATHERS have that special something to share that puts them on the right path to get there. THANK YOU for being the prayer warrior, guidance conselor, and confidant they can always rely on. THANK YOU for sharing words of wisdom, forgiveness, and unconditional love. The words of a Father are powerful, so make sure every child learns to use them to do good in the world. THANK YOU!